The story of Mrs. G, a modern witch in sensible shoes. Mrs. G rises from her desk, crosses the room, and forcefully grabs a tissue from the box, part of the bulk pack she purchased with her own funds before that first September paycheck arrived. She hates herself for getting upset. She should be nonplussed. She is a veteran teacher after all. She has handled aggressive parents many times. There was that executive who asked her and her colleagues which colleges they had attended, smugly stating: “Probably you all went to SUNY.” Or that other parent who told her she was squashing her son’s spirit because Mrs. G had the audacity to ask him not to save his loud, smelly farts for her class. The same boy who refused to raise his hand and constantly interrupted her well-planned lessons. Or that dad who pecked at her every time that her online grade-book was not updated. This accusation is different, however. It is not about an overindulged child or an arrogant adult. This parental/student complaint is about her teaching. Her integrity is questioned. Her core beliefs as a historian, social scientist, educator, and as a woman are challenged. She is guilty until she proves her innocence. And, then, even then, this incident will leave a mark, a stain on her solid reputation. She cannot win. She will never be perceived by this parent as anything else but one of those “teachers” no matter what she says. She will teach all year wondering if her words are offensive. She will doubt herself. She will lose her power, her voice, her excellence. The administrator, who must be at least ten years her junior, explains the parental complaint. The issue is that the student feels uncomfortable in her class. Why? Because, according to the student she is talking about gender, women, and feminism too much. Also, when she teaches about political issues she is only showing one side. Really? She had a male neo-Nazi in her class last year who proudly wore his MAGA gear and she gave him a platform in her class to discuss issues. She had a female student in her class last year who had the comfort to discuss her intense support for Trump and her happiness on his inauguration day. She had a former student discuss with her how he felt isolated by his support of President Trump among his more liberal-leaning classmates. But, that was last school year. Now is the time that matters. What have you done lately, Mrs. G? How have you shown both sides of feminism this school year? 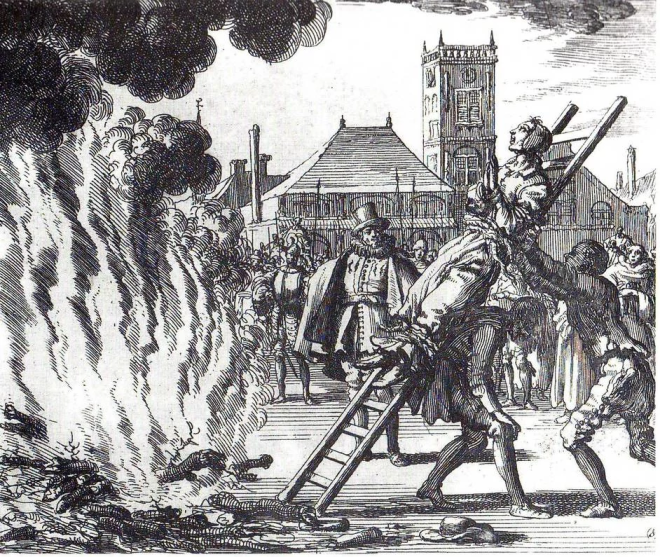 (As if there are two sides to human rights?) How have you been objective? Which universal truths have you dismissed? How dare you indoctrinate my son or daughter in your elitist, feminist, witchy ways? She has had a career of positivity. The negative interactions with students and parents minimum, the praise high. Is this the new brave world? Is this new, unfounded accusation part of a trend to discredit certain teachers? This is a form of torture. She will not be told who the student’s identity. The parent will not meet with her. The complaints are vague. This family wants her to consider both sides in her teaching. The student feels uncomfortable. What is uncomfortable about learning about a maximum number of six women in world history during the entire year? The remainder of the year focuses on men, mostly white men. What is uncomfortable about a teacher talking about political and current topics as they relate to history? Does the student know both sides of every issue discussed, and if not, how can this adolescent determine if multiple perspectives have been integrated? This year had seemed more like an acceptance of disagreement. A consensus that these are difficult times. An agreement that the unpredictable is the new norm. So, the complaint against Mrs. G, with such vague and inaccurate claims, seems out of left field, even to a veteran teacher such as herself. What exactly is she to do with this knowledge, and the lack of pertinent information? She can guess who the child is, but she might be wrong. She can continue teaching the curriculum as she has always done but she runs the risks of being accused again. There is no solution. She has been accused, labeled, and now she is suspect. As Mrs. G reads the college-level essays, she makes comparisons to trending issues. She thinks of the #MeToo, the nevertheless she persisted quote, and the “I am with her” line of support. She reflects on the Women’s March and the recent Women’s Convention in Detroit, Michigan. She analyzes how women’s access to contraception medicine is in jeopardy and how she may never see a female president in her lifetime. She wonders if she is one of those ‘nasty’ women? 76% of teachers are women. Mrs. G wonders if she is a modern day witch? And then she smiles, because if she is, she is in very good company. Teachers You Think You Were Stressed 3 Years Ago? We Have Scientific Evidence Your Career is Detrimental to Your Health. In October of 2014 a group of teachers were brought together by the news of tragic deaths of teachers they knew who were working in such stressful work environments it literally helped to drive them to take their own lives. The group of teachers participated in a town hall with Randi Weingarten sharing the many stories of abusive work environments riddled with bullying, sexual discrimination, racism, ageism and profound stress incurred due to policymakers agenda. Their profession had become the scapegoat for a generation of politicians and vulture capitalists attempting to raid a “500 billion dollar untapped market” known as the United States public schools. The teaching profession was under siege in 2014. Today we learned not much has changed in 2017..
Out of that call in 2014 a partnership emerged between the Badass Teachers and the American Federation of Teachers creating the Quality of Worklife Committee. The Team created a survey and administered it in April of 2015. In May the AFT/BAT Quality of worklife results were shared here. https://www.aft.org/sites/default/files/worklifesurveyresults2015.pdf The results captured the attention of millions and soon inspired A Section of ESSA Under Title II SEC. 2103. LOCAL USES OF FUNDS: N) developing feedback mechanisms to improve school working conditions, including through periodically and publicly reporting results of educator support and working conditions feedback. Our team called upon the federal government to commission a scientific study on working conditions of in our public schools. After several meetings with the USDOE and in 2016 a Meeting with National Institute of Occupational Safety and Health (NIOSH). 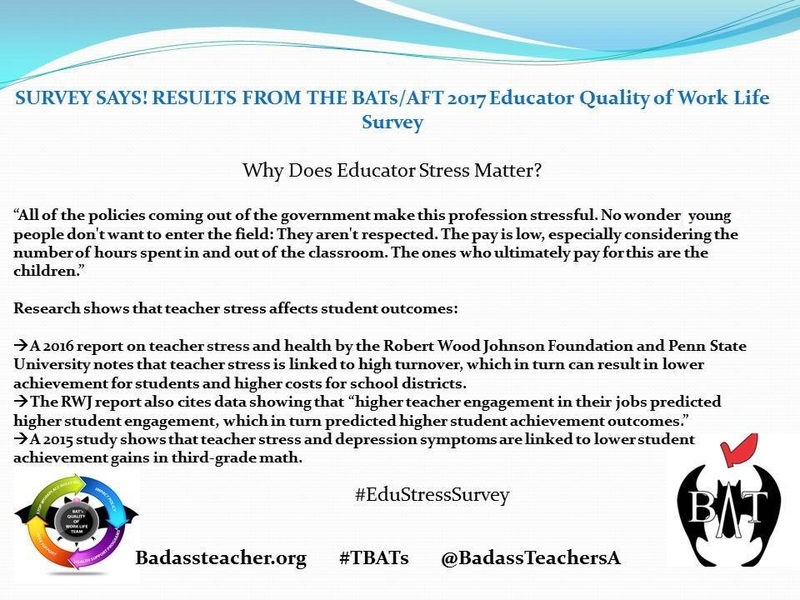 The BATs joint partnership with AFT entered 2017 creating a ground breaking scientific survey and study of working conditions of public educators. We focused on those things that impact our health and well-being. The Data has been collected and preliminary results are in! American teachers are part of one of the most stressful professions in the country. Allow me share a few highlights. Teachers are much more likely to be bullied, harassed and threatened at work than other workers. Our scientific sample reveal 1 in 4 teachers experience workplace bullying. Educators and school staff reported being bullied, harassed or threatened at work almost 4 times a higher rate than workers in the general population. In 2017 who is bullying our public school teachers? 35 percent identified a principal, administrator or supervisor. 23 percent identified a co-worker 50% percent identified a student. 31 percent identified a student’s parent. Most teachers reported their district having a workplace harassment and bullying policy however few reported any district training. A shocking statistic in the 2017 report was that 1 in 5 teachers (21%)report their mental well being not being good 11 or more days in the past 30 days this is double the national average of 10 to 11% in other careers. Wow! We must address this health crisis in our profession. In our survey 61%report that their enthusiasm for their profession is not what it was when they began, over 40% report that the stress and disappointments are really not worth it anymore. Can anyone say teacher shortage? All across the country communities are unable to fill positions with qualified educators for our next generation. 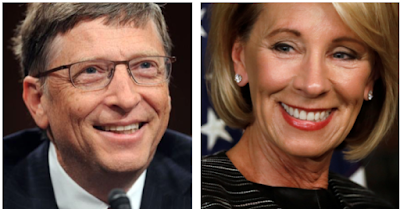 They continue to assault our profession while corporate philanthropists seek to convince the public computers will replace teachers. Perhaps this shortage is intentional. 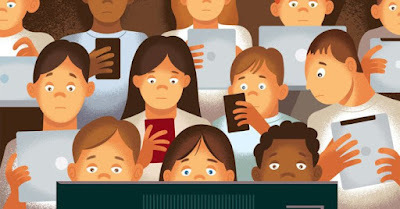 Perhaps the systemic stress is designed to make our profession toxic to make way for profits for the big tech corporations on the back of our nation's children. 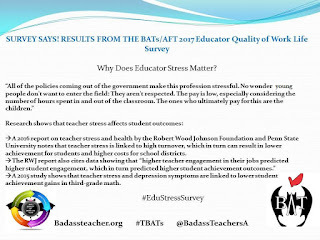 Kathy Beery of Virginia, an original member of the BATs Quality of Worklife Team stated, "I wish I could say I was surprised by the results of the survey, but I'm not. It's a terrible predicament for our profession and we must continue to work for change." We must do more! We must all advocate for Healthy Workplaces in our public schools. A teacher's work environment is a student's learning environment ….and the children are watching. That’s right – Jason Vorhees, Michael Myer, Freddy Kruger, they all went after those pesky post-graduate teenagers. But none of them had the audacity to go after kids with learning disabilities!